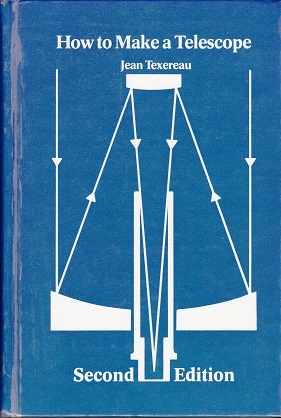 For nearly 30 years the first edition of this book has been considered by many to be the best guide to making a Newtonian telescope. The author takes you step-by-step through the process of grinding, polishing, testing and installing your mirror in a tube on either an alt-azimuth or equatorial mount. This new edition with over 300 more pages now has entire chapters on Cassegrain telescopes, optical window, equatorial mount, computer programs in generic BASIC for the reduction of Foucault test data and the design of two-mirror telescopes – Cassegrain, Dall-Kirkham, Pressman-Carmichael, and Richey-Chretien. Also included are comprehensive bibliographies from Sky & Telescope’s ‘Gleanings of ATMs’, Scientific American and Telescope Making magazines.